TPH Notice 01/15 – Private Hire Vehicles – Have Your Say. Transport for London (TfL), which regulates and licenses the taxi and private hire trades in the Capital in the interests of passengers, submitted its application on Wednesday 25 March to the High Court for a declaration on taximeters. This follows confirmation that the Licensed Taxi Drivers Association (LTDA) has invited the Magistrates’ Court to withdraw their summonses for breach of the private hire taximeter prohibition. The application to the High Court has been served on Uber and the main trade bodies – the LTDA and the Licensed Private Hire Car Association – who will be entitled to make representationsin response to the application. TfL is seeking a High Court declaration on whether smart phones, which use GPS technology to measure the time and distance of a journey and then receive information about fares, comply with the current law on ‘taximeters’, which can only be used in London by taxis. The rapid pace at which smart phone based technology has developed in recent years has led to a need for clarity about what is required in order for apps to comply with the regulatory framework in London, to ensure there is a level playing field for all operators. TfL set out its view that on balance smart phones used by private hire drivers do not constitute the equipping of a vehicle with a ‘taximeter’. However, because the legislation in this area is unclear and able to be interpreted in various ways, TfL has applied to the High Court to give a binding determination on this issue. Leon Daniels, TfL’s Managing Director of Surface Transport, said: “We are now a step closer to securing a High Court declaration on the issue of taximeters and hope that London’s taxi and private hire drivers and operators will work with us. A Transport for London spokesperson said: “We have made clear previously that it is our view that smart phones used by private hire drivers do not constitute the equipping of a vehicle with a taxi meter where they act as GPS tracking devices to measure journey distances and relay information so that fares can be calculated remotely from the vehicle. “However, we acknowledge that this issue is not straightforward and is open to an alternative interpretation. The most appropriate way forward is to invite the High Court to issue a declaration on this issue. This is the email which was sent out to both the LTDA & Unite. 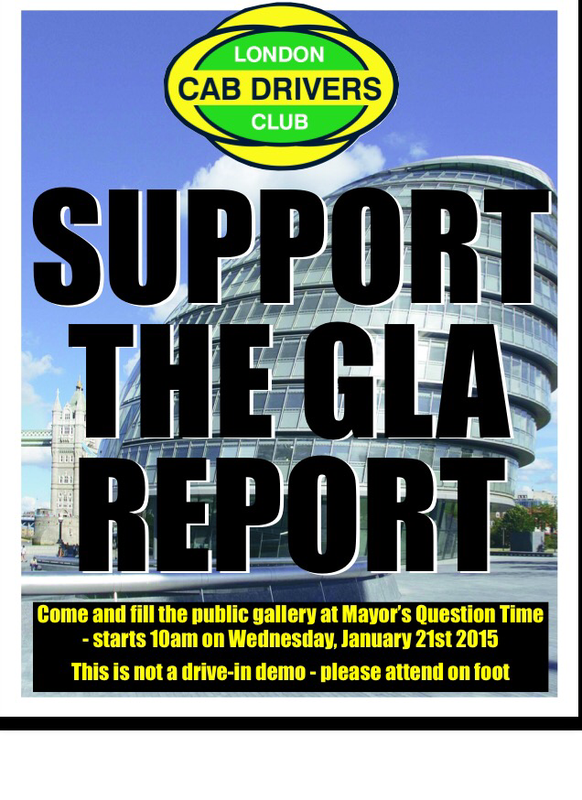 21-01-15 @ 10AM Support The GLA Report. 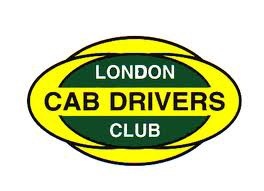 After the recent GLA report that had vindicated the cab trades actions over the past years and has highlighted TFL woeful management of our Industry, we have decided to show our support for the GLA by attending the first Q&A meeting with the Mayor. This is not a drive in, nor a demonstration, but a lobby, on foot to attend the public gallery and have a presence outside City Hall. Make no mistake TFL would love to kick the report into the long grass, we must keep the GLA recommendations in the fore front of our actions. Ten additional Route 381 buses acting as a shuttle between London Bridge and Waterloo stations during the morning and evening peaks.